Becoming a more likeable boss can sometimes be a difficult process to describe. It can be one characteristic that facilitates great communication and great employee relationships. It can be the special way that you show confidence in among your team. These and other events can become more easily managed with this ideal online training course. 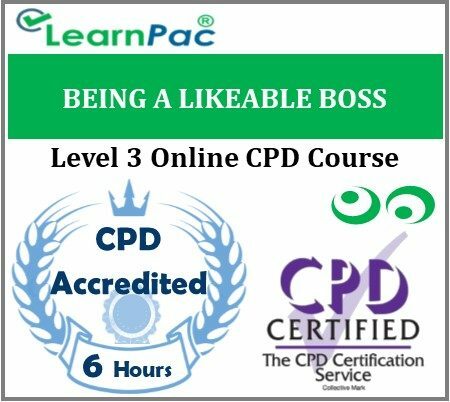 With our ‘How to Become a More Likeable Boss’ eLearning course, participants will begin to see how important it is to develop better managerial skills. By managing and looking at the way people interact and seeing things in a new light, your participants will improve on almost every aspect of their career. What does it take to be a likeable boss? Contrary to popular belief, a likeable boss is not a pushover. Your team can like you and respect you at the same time. It’s all depends on whether or not you are gaining their respect and admiration the right way. One of the biggest fallacies you’ll hear about good managers is that they usually aren’t very likable; that the most effective bosses are usually tyrants who put the success of the business ahead of being nice to their employees. That’s absolutely untrue, especially in today’s workplace. In the modern business world, so much relies on a boss’ ability to not only motivate workers but also keep them happy – especially the best ones. With all the job-hopping that goes on these days, bosses you aren’t able to retain their best employees simply can’t be viewed as being successful at managing their staff, regardless of whether the business is making money or not.